I haven't taken any pictures of projects. I heart the girls at Our Best Bites. Love them especially now. Because why? 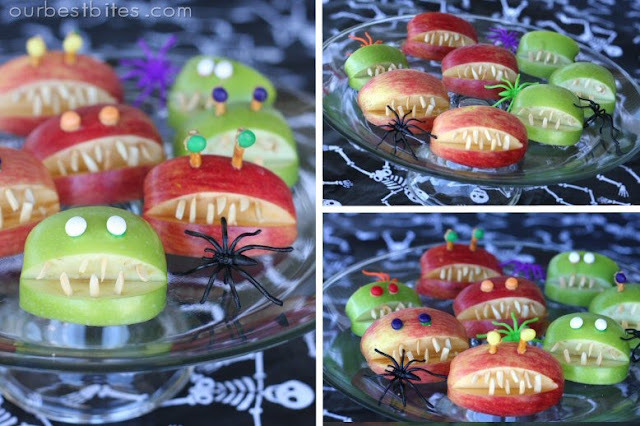 I think every easy Halloween food idea I have ever bookmarked, ripped from a magazine, or printed off to put in my idea book, they have put into one Easy Halloween Party Food amazing post. You want a buffet that looks like Chris' at Just a Girl? I can't get over the smoothness and beautiful-ness of this. And the best part? NO SANDING and she tells how step by step. 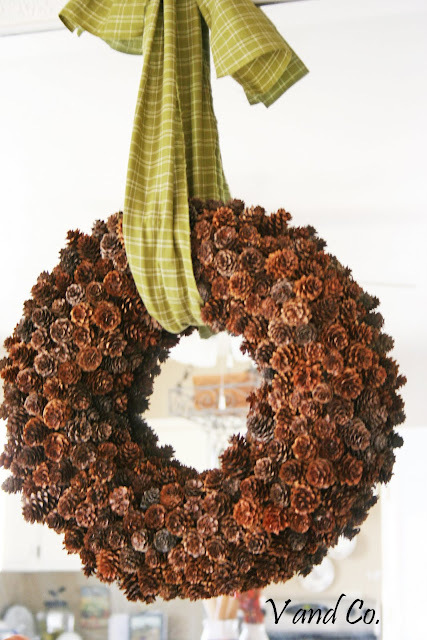 My Grandma Reeva makes pinecone wreaths, but this one from V and Co. is not your grandma's wreath~love it! Thank you for letting me share your talent, ladies! 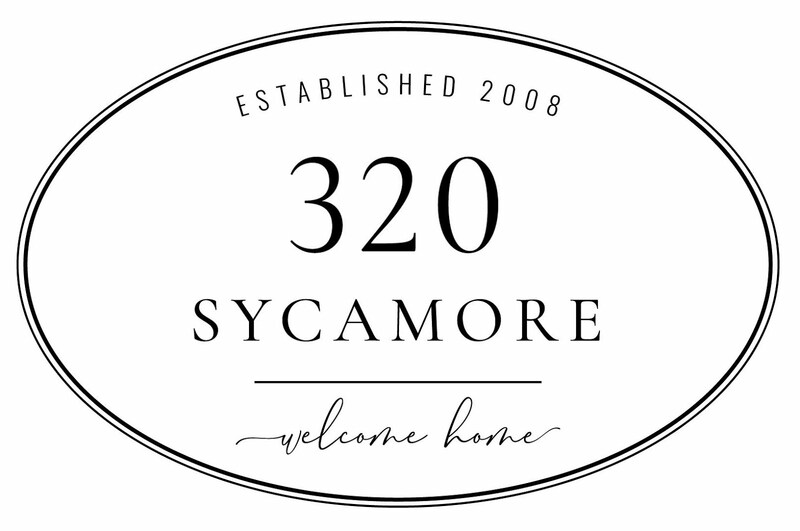 Next week, we get to celebrate 1 year at 320 Sycamore~yay! Will you come back and join me? What great ideas!! Thanks for sharing them with us. PS: Hope your kids start to feel better soon! Take care. awe, thanks for the mention! I love your blog too- for all of these great ideas. 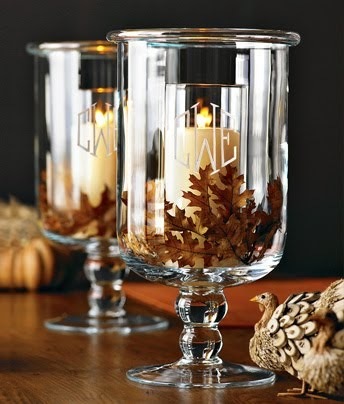 I really want to check out that grapevine pumpkin. I've seen those at the stores and wanted one and I never knew I could make it myself! All great items... hope your kids feel better soon. Hi Melissa! Thanks so much for the shout out! I love the other projects and can't wait to check out the ones I haven't seen. Wow! I LOVE all of these ideas, how fun!! I hope you kids feel better soon! Hi Melissa ! Awesome post. lovec everything! Hey could you drop me an email. I have a question for ya! Hope your bebes are better soon. Nothing can sap your energy like having sick kids (or a newborn). Everyone is getting sick (me included) hope they feel better soon. I am hope with sick kiddos as well. And I know the feeling! Thanks for sharing all of these great ideas. I hope your kids are on the mend and feel better soon. That lamp is so cute! I loved Just A Girl's buffet. It is beautiful. That being said, I do hope that yours get well soon. And that you don't catch whatever it is they have...nothing worse than recovered children, and a not-recovered mom! And that sideboard? Holy cannoli, it makes me want to go buy some big hulking ugly piece of furniture, and remake it, using her directions! And worse yet, I don't even know where to find some Benjamin Moore paint!! LOL. Oooh, some of those I've seen (and love) but some I had not!! Thanks for sharing! Hope everyone's feeling better real soon!! I love the buffet and the spooky table. I saw some old poison bottles at an antique fair last week - now I wish I'd bought them. Love the ideas! Hope the kids are feeling better soon. I miss the days when mine were little and easy to care for. My 'baby' called me from Portland this week with 104 fever and swine flu. We live in Wisconsin. Luckily they have online grocery there and I could send him a mom package of chicken soup, medicine, bendy straws, kleenex and all that mom stuff! Thanks for sharing some of your favorites. I hope your kids are feeling all better soon. Have a great weekend. Thanks for sharing the fun Halloween link. I put in on my blog, too. I always enjoy reading your posts. I know how those days go! Thanks for the links. Those are all awesome! Melissa, your new look is fabulous!!! I love it!! Hope your family is feeling better this week!! Wonderful projects from blogland. So inspiring. Ooooh!! I love the new look! Your header is just beautiful! Is this new look to celebrate your one-year anniversary? Congratulations, by the way! I do so love it here at the old Granville house! !